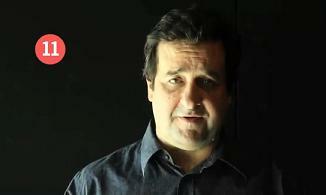 In a combat to fight third world hunger, Mick Molloy has been enlisted to be the embassador for The Elevenses. The Elevenses is not a movement or campaign, but a project to raise funds to help those facing malnutrition and disease in the Horn of Africa. The rules are simple – donate $11AU by 11th November 2011 (11/11/11) and the Australian Government will match it dollar for dollar. So if you donate $11, the Government will donate $11, totalling = $22. The target is to get $1,111,111 by 11th November.